I’ve made several posts previously about the difficulties I’ve had with Eclipse and Gnome’s Adwaita theme: menu elements that have too little contrast to read, poor color choices, etc. I even took a stab at creating my own GTK3 theme to deal with the problem. Open /usr/share/applications/eclipse.desktop in your text editor of choice. The one gotcha is that when you update the eclipse-platform package, it will destroy the changes you’ve made in the desktop file so you’ll have to redo them. But that’s a small price to pay in my opinion. 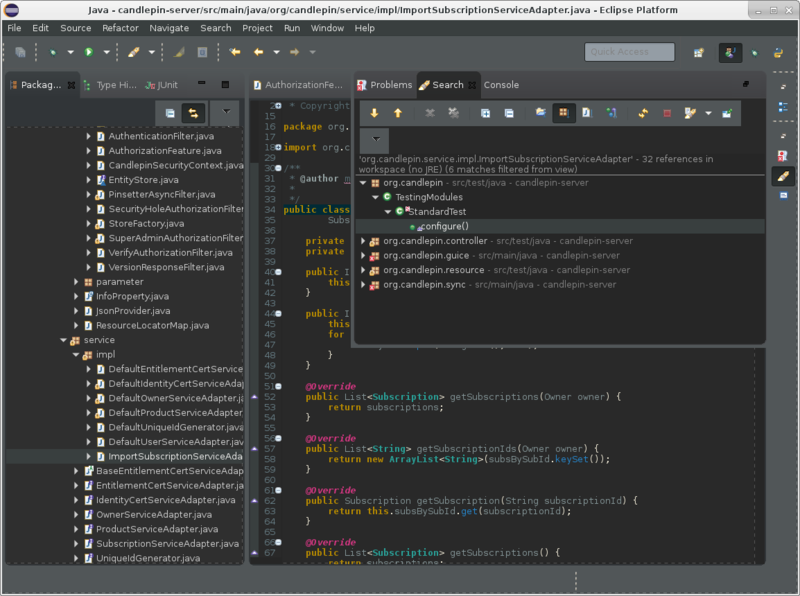 Eclipse Mars with the Adwaita Dark GTK theme.